What do the following have in common? Let there be light - A fly in the ointment - A rod of iron - New wine in old bottles Lick the dust - How are the mighty fallen - Kick against the pricks - Wheels within wheels They are all in the King James Bible. This astonishing book "has contributed far more to English in the way of idiomatic or quasi-proverbial expressions than any other literary source." So wrote David Crystal in 2004. 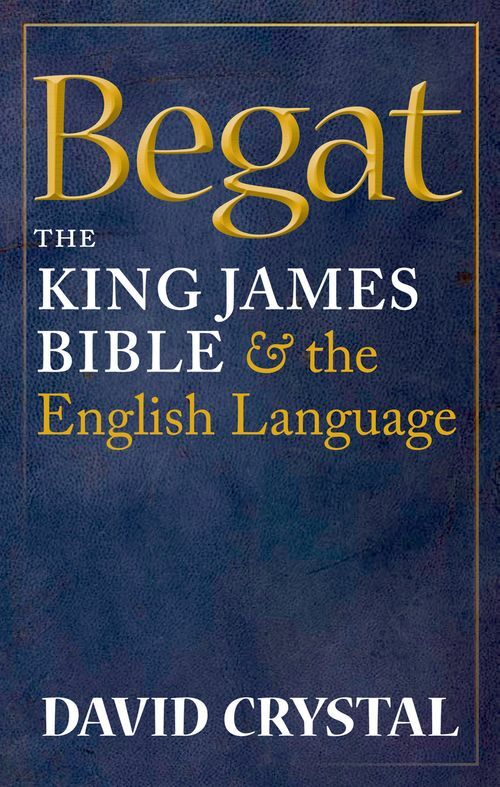 In Begat he returns to the subject not only to consider how a work published in 1611 could have had such influence on the language, but how it can still do so when few regularly hear the Bible and fewer still hear it in the language of Stuart England. No other version of the Bible however popular (such as the Good News Bible) or imposed upon the church (like the New English Bible) has had anything like the same influence. David Crystal shows how its words and phrases have over the centuries found independent life in the work of poets, playwrights, novelists, politicians, and journalists, and how more recently they have been taken up with enthusiasm by advertisers, Hollywood, and hip-hop. Yet the King James Bible owes much to earlier English versions, notably those by John Wycliffe in in the fourteenth century and William Tyndale in the sixteenth. David Crystal reveals how much that is memorable in the King James Bible stems from its forebears. At the same time he shows how crucial were the revisions made by King James's team of translators and editors. "A person who professes to be a critic in the delicacies of the English language ought to have the Bible at his finger's ends," Lord Macaulay advised Lady Holland in 1831. Begat shows how true that remains. It will be a revelation to all who read it. David Crystal is the world's best known linguist. He is Honorary Professor of Linguistics at the University of Wales, Bangor. His books include Linguistics, Language and Religion (1965), The Stories of English (Penguin, 2004) The Fight for English (OUP 2006), and Just a Phrase I'm Going Through: my Life in Language (Routledge 2009). He has written extensively on religious language, including 'Linguistics and Liturgy' for Church Quarterly in 1969 and 'Language in Church' for The Tablet in 1985.